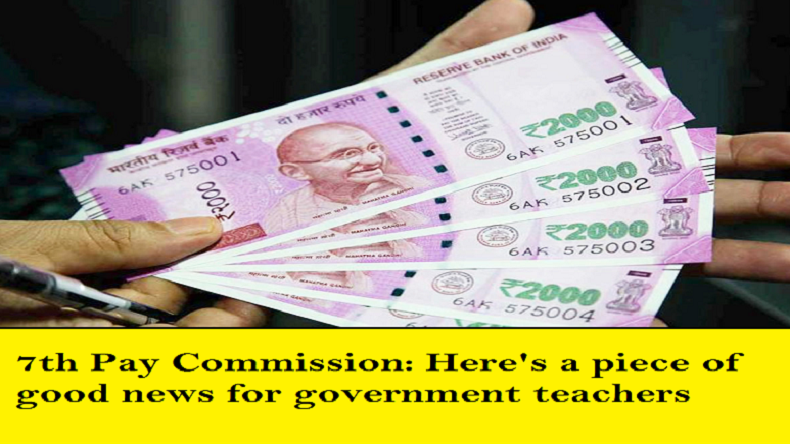 7th Pay Commission: The HRD Ministry has announced to implement the 7th pay commission recommendations for the government teachers and equivalent academic staff. The Narendra Modi government has approved the proposal of 7th Pay Commission recommendations with effect from July 1, 2017, which means the Central government employees will get revised allowances and arrears for the last 18 months. 7th Pay Commission: The Ministry of Human Resource Development (MHRD) has given a nod to the 7th Pay Commission recommendations for the Central government teachers, equivalent academic staff, registrars and Central Universities and colleges examination controllers. If the reports are to be believed then the 7th Pay Commission recommendations will get into effect from July 1, 2017, and the Central government employees will get revised allowances and arrears for the last 18 months. According to the latest notification from the Ministry of Human Resource Development (HRD), the CPC will come into effect from July 1, 2017. The earlier notification from the HRD ministry mentioned that the recommendations should be adopted with immediate effect for the benefits of the Central government employees. The Narendra Modi government had approved the proposal to extend the 7th Central Pay Commission for the teachers and other academic staff of the state government and government-aided degree level technical institution on January 15, 2019. After which, a burden Rs. 1241.78 crore will be loaded on the Central government. A few days ago, the Higher Education Regulator and the UGC had directed to increase the Honorarium amount for the guest lecturers from Rs 1000 to Rs 1500 per lecture subject. While the maximum amount limit for a month was raised to Rs 50,000 to Rs. 25,000. The central government employees have been demanding for the implementation of the 7th pay commission recommendations and hike in basic salary and allowances. The 7th pay commission recommendations have not been implemented in many states till now, but some states like Maharashtra and Rajasthan have ordered to follow the directions. The government has former Central Pay Commission committee to resolve the issues and around Rs 10, 000 crores will be distributed and employees will get DA of 14 months. If the reports are to be believed then the Central Government employees will get the pending arrears of 36 months after the implementation of the 7th Pay Commission.